Would you pay $12 for an individual Cartomizer? Of course not. RegalCigs wants you to though. Here’s the scoop on the next Prada eCigs DISASTER. 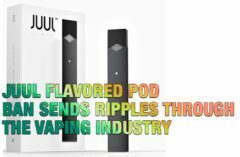 The “Free Trial” eCig company ripped off thousands of smokers by convincing them to order an eCig starter kit for free, just pay shipping and handling. Because hundreds of people did not read the fine print that were charged $149 a few days after receiving their starter kit and found themselves enrolled in a monthly program of refill cartomizers; 10 cartomizers for $69.99. 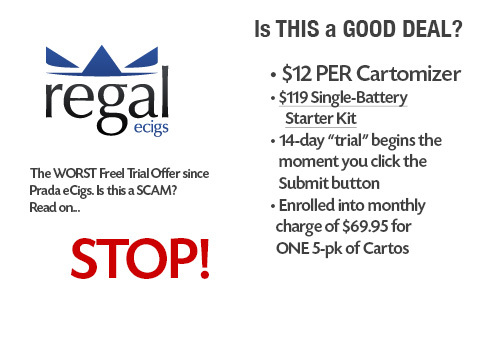 RegalCigs, a company based in Escondido, CA (UPDATE: Regal Cigs is also located here; Regal Cigs at 405 W. Fairmont Drive, Tempe, AZ 85282) has launched a nearly identical “free trail” offer today at www.getregalcigs.com and the terms and conditions are the same as Prada eCigs. It’s the same “14 Days”, including the time it takes to get to you, the same inexpensive crap starter kit that they bang you $120 for after your trial, and a whopping $12 PER cheap Cartomizer. 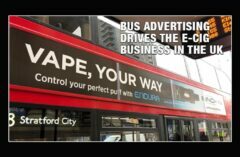 Unless we ACT now thousands of people that are looking to QUIT smoking will be ripped off, and will unfortunately be so afraid of being ripped off again that they’ll never try a REAL eCigarette, from a reputable company. This starter kit offers about the same number of items that many kits sold by legitimate eCig companies for less than $50. What do you pay a few days after receiving your “free trial”? A whopping $119.95, in addition to the $9.95 you paid in shipping for your “free trial”. As soon as you click the “Submit” button on the “getregalcigs.com” website your trial begins. Before it’s packaged, before you receive it, before you can even go to another website. By the time it arrives you’ll be lucky to have 2 days to cancel. Can it get worse? Absolutely. 1 PACK of Cartomizers containing FIVE (5) Cartomizers. Cost? Try $59.95 + $9.95 for shipping. $70 for 5 cartomizers. $12 per cartomizer. TWELVE DOLLARS PER CARTOMIZER!!! We all know that even most expensive Cartos on the market are about $2.00 – $2.50 per Carto. And the BEST cartos (in this authors opinion) run about $1.50 a piece. is asking every reader to please, please, pass this information along to other you know. Post it in Forums, Tweet it, send people here to read the Purchase Agreement for this company… Whatever it takes, let us work TOGETHER to save thousands from being once again RIPPED OFF by the people behind companies like RegalCigs. 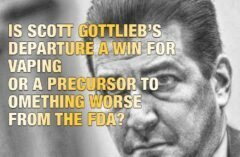 If you really want to stop these people, please write, email, call or fax Fox, CBS, Men’s Health and Discovery Channel and tell them the fact about eCigarettes and their relative cost against what RegalCigs is charging. Tell them to WITHDRAW the advertising of RegalCigs. Is it a Scam? That’s for you to decide, but PLEASE, read the fine print, which we are reprinting below. Upon placing your first order for the Product you will be enrolled in Regal Refill Program. As a member in the Program, Regal Cigs will immediately send you a Starter Kit which includes one extended battery, one wall charger, one USB charger, one cigarette case, 5 nicotine cartomizers, and an instruction manual and all you pay for is shipping and handling at a rate of $9.95 (USD)(occasional promotional rates may apply). As a member in the Program, you have 14 days to try the Product (the Trial Period). Please note that delivery time is subtracted from your Trial Period, and will reduce the number of days allocated to your Trial Period. If the Product is not right for you call 1-888-822-5977 during the Trial Period. Otherwise, at the end of your Trial Period, as a member in the Program, your credit card will be charged $119.95 (USD) for the Product you already received. Then 30 days from your initial order of the Product (and every 30 days thereafter), you will be sent a new supply of the Product containing 5 cartomizers, (A total of 200 cigarettes worth) and your credit card will be charged $59.95 + $9.95 S/H (the Monthly Fee). If you wish to cancel future deliveries of the Product or receive an RMA number, you must call 1-888-822-5977. If you cancel within the 14 day trial and do not want to be charged for the starter kit we must receive your starter kit with a Return Merchandise Authorization (RMA) number 30 days from the date you placed your order otherwise you will be billed $119.95. If you fail to cancel prior to the expiration of the Trial Period or you fail to return the starter kit with an RMA number within the 30 days from when you placed your order, your credit card will be charged $119.95 for the Product that was shipped to you. You are able to use one (1) of the initial five (5) cartomizers that you receive with your starter kit at no charge in order to decide if you like the product. Each additional cartomizer that is used and not returned in its original un-opened package will result in a charge of $5 per cartomizer. Foreign Transaction Fee: Occasionally RegalCigs uses international banks for credit card processing. Some Issuing banks (the bank your credit card card is tied to) charge small fees for processing offshore. These may show up as “Int Fee”, “Foreign Transaction Fee,” or something similar. These fees are charged by your bank, not RegalCigs. You hereby authorize Regal Cigs (or its partners, affiliates and/or agents) to charge your credit card the Monthly Fee and You acknowledge and agree that Regal Cigs will not obtain additional authorization from you for each Monthly Fee charged to your Credit Card. If you cancel after the expiration of the Trial Period, you may receive a refund, but only if the starter kit is received by us with an RMA number within 30 days from the date you placed your order. Refunds will not be given on packages marked “Return To Sender”. All Product returns must be sent to Regal Cigs at 405 W. Fairmont Drive, Tempe, AZ 85282. Once the product is received and checked by our warehouse, we will issue you the appropriate refund. The items must be returned in the same condition as received. Any damaged product may void issuance of refund. PLEASE NOTE THAT THERE IS A 20% RESTOCKING FEE ON ALL RETURNED PRODUCTS. FURTHERMORE, THERE ARE NO REFUNDS ON THE CARTRIDGES ONCE SHIPPED (excluding the two cartridges allowed for trying the product). All fees are payable in United States currency. Upon prior written notice to you (i.e., email), Regal Cigs reserves the right to change its pricing and/or billing practices whenever necessary, in its sole discretion. If you do not agree with these changes, you may cancel your membership in the Program, as applicable, at any time, but you will remain responsible for timely payment of any and all fees that you have already incurred (including any applicable late fees). Continued acceptance of the Product, after receipt of such notice shall constitute consent to any and all such changes. If you fail to make any scheduled payment for a Product, such overdue amounts will be subject to interest charges in the amount of one and one half percent (1.5%) per month, compounded monthly and Regal Cigs may, in its sole discretion, decide to terminate your membership in the Program for non-payment. Regal Cigs grants you a limited license to access and make personal use of the website and not to download (other than page caching) or modify it, or any portion of it. This license does not include any resale or commercial use of the website or its contents; any collection and use of any product listings, descriptions, or prices; any derivative use of the website or its contents; or any use of data mining, robots, or similar data gathering and extraction tools. This website or any portion of this website may not be reproduced, duplicated, copied, sold, resold, visited, or otherwise exploited for any commercial purpose without express written consent of Regal Cigs. Upon request by Regal Cigs, you agree to defend, indemnify, and hold harmless Regal Cigs and its affiliates, their employees, contractors, agents, representatives, officers, directors, co-branders, content licensors and/or other partners from all liabilities, claims, and expenses, including without limitation attorneys fees that arise from: (a) your use of the website or the Products; and/or (b) your breach of these Terms and the terms of the Program. Regal Cigs reserves the right, at your expense, to assume the exclusive defense and control of any matter otherwise subject to indemnification by you, in which event you will cooperate with Regal Cigs in asserting any available defenses. All content included on this website, including but not limited to text, graphics, logos, button icons, images, and audio clips, digital downloads, and data compilations, is the property of Regal Cigs and is protected by United States and international copyright laws. Regal Cigs may allow third parties to advertise on the website. Please be aware that Regal Cigs is not responsible for the business and privacy practices of these other sites. Regal Cigs encourages you to be aware of this when you leave the website and to read the legal notices and privacy policies of each and every website you visit. The website also contains links to other websites on the Internet that are owned and operated by third parties. Regal Cigs does not control the information, products or services available on these third party websites. The inclusion of any link does not imply endorsement by Regal Cigs of the applicable website or any association with the website’s operators. Because Regal Cigs has no control over such websites and resources, you agree that Regal Cigs is not responsible or liable for the availability or the operation of such external websites, for any material located on or available from any such websites or for the protection of your data privacy by third parties. You agree that Regal Cigs shall not be responsible or liable, directly or indirectly, for any loss or damage caused by the use of or reliance on any such material available on or through any such site or any such dealings or promotions. THE WEBSITE AND THE PRODUCT OFFERED ON THE WEBSITE, ARE PROVIDED TO YOU ON AN “AS IS” AND “AS AVAILABLE” BASIS AND ALL WARRANTIES, EXPRESS AND IMPLIED, ARE DISCLAIMED TO THE FULLEST EXTENT PERMISSIBLE PURSUANT TO APPLICABLE LAW (INCLUDING, BUT NOT LIMITED TO, THE DISCLAIMER OF ANY WARRANTIES OF MERCHANTABILITY, NON-INFRINGEMENT OF INTELECTUAL PROPERTY AND/OR FITNESS FOR A PARTICULAR PURPOSE). Regal Cigs MAKES NO WARRANTY THAT THE WEBSITE OR THE PRODUCT OFFERED ON THE WEBSITE: (A) WILL MEET YOUR REQUIREMENTS; (B) WILL BE UNINTERRUPTED, TIMELY, SECURE OR ERROR-FREE OR THAT DEFECTS WILL BE CORRECTED; (C) WILL BE FREE OF VIRUSES OR OTHER HARMFUL COMPONENTS; (D) WILL HAVE SECURITY METHODS EMPLOYED THAT WILL BE SUFFICIENT AGAINST INTERFERENCE WITH YOUR ENJOYMENT OF THE WEBSITE, OR AGAINST INFRINGEMENT; AND/OR (E) WILL BE ACCURATE OR RELIABLE. THE WEBSITE AND THE PRODUCT OFFERED ON THE WEBSITE MAY CONTAIN BUGS, ERRORS, PROBLEMS OR OTHER LIMITATIONS. YOU EXPRESSLY UNDERSTAND AND AGREE THAT Regal Cigs SHALL NOT BE LIABLE TO YOU OR ANY THIRD PARTY FOR ANY DIRECT, INDIRECT, INCIDENTAL, SPECIAL, CONSEQUENTIAL AND/OR EXEMPLARY DAMAGES INCLUDING, BUT NOT LIMITED TO, DAMAGES FOR LOSS OF PROFITS, GOODWILL, USE, DATA OR OTHER INTANGIBLE LOSSES (EVEN IF Regal Cigs HAS BEEN ADVISED OF THE POSSIBILITY OF SUCH DAMAGES), TO THE FULLEST EXTENT PERMISSIBLE BY LAW FOR: (A) THE USE OR THE INABILITY TO USE THE WEBSITE AND THE PRODUCT ON THE WEBSITE; (B) THE COST OF PROCUREMENT OF SUBSTITUTE GOODS AND SERVICES RESULTING FROM ANY GOODS, DATA, INFORMATION, CONTENT AND/OR ANY PRODUCT PURCHASED OR OBTAINED FROM OR THROUGH THE WEBSITE; (C) THE UNAUTHORIZED ACCESS TO, OR ALTERATION OF, YOUR PERSONALLY IDENTIFIABLE DATA; (D) THE FAILURE TO REALIZE ANY SPECIFIC SMOKING CESSATION BENEFIT OR OTHER HEALTH-RELATED OUTCOME; AND (E) ANY OTHER MATTER RELATING TO THIS WEBSITE OR THE PRODUCT OFFERED ON THE WEBSITE. THIS LIMITATION APPLIES TO ALL CAUSES OF ACTION, IN THE AGGREGATE INCLUDING, BUT NOT LIMITED TO, BREACH OF CONTRACT, BREACH OF WARRANTY, NEGLIGENCE, STRICT LIABILITY, MISREPRESENTATION AND ANY AND ALL OTHER TORTS. YOU HEREBY RELEASE Regal Cigs FROM ANY AND ALL OBLIGATIONS, LIABILITIES AND CLAIMS IN EXCESS OF THE LIMITATIONS STATED HEREIN. IF APPLICABLE LAW DOES NOT PERMIT SUCH LIMITATION, THE MAXIMUM LIABILITY OF Regal Cigs TO YOU UNDER ANY AND ALL CIRCUMSTANCES WILL BE FIVE HUNDRED DOLLARS ($500.00). NO ACTION, REGARDLESS OF FORM, ARISING OUT OF YOUR USE THIS WEBSITE, THE PRODUCT AND/OR SERVICES OFFERED ON THE WEBSITE, MAY BE BROUGHT BY YOU MORE THAN ONE (1) YEAR FOLLOWING THE EVENT WHICH GAVE RISE TO THE CAUSE OF ACTION. THE NEGATION OF DAMAGES SET FORTH ABOVE IS A FUNDAMENTAL ELEMENT OF THE BASIS OF THE BARGAIN BETWEEN YOU AND Regal Cigs. ACCESS TO THE WEBSITE AND THE PRODUCT OFFERED ON THE WEBSITE WOULD NOT BE PROVIDED TO YOU WITHOUT SUCH LIMITATIONS. SOME JURISDICTIONS DO NOT ALLOW CERTAIN LIMITATIONS ON LIABILITY AND IN SUCH JURISDICTIONS Regal Cigs LIABILITY SHALL BE LIMITED TO THE MAXIMUM EXTENT PERMITTED BY LAW. Any dispute arising out of or related to these Terms, which cannot be resolved by negotiation (including, without limitation, any dispute over the ability to arbitrate an issue), will be settled by binding arbitration in accordance with the J.A.M.S Arbitration Rules and Procedures. The arbitration will be held in Denver, CO. The costs of arbitration, including the fees and expenses of the arbitrator, will be borne by the party initiating the action unless the arbitration award provides otherwise. Each party will bear the cost of preparing and presenting its case. The parties agree that the arbitrator has no power or authority to make awards or issue orders of any kind except as expressly permitted by these Terms, and in no event does the arbitrator have the authority to make any award that provides for punitive or exemplary damages. The award may be confirmed and enforced in any court of competent jurisdiction. These Terms shall be treated as though it were executed and performed in Denver, CO and shall be governed by and construed in accordance with the laws of the State of Colorado (without regard to conflict of law principles). You represent and warrant that (a) you are at least 18 years of age (or 19 years of age in the jurisdiction mentioned above); (b) you have the full right, power and authority to enter into this agreement; (c) by entering into this agreement you are not breaching any duty or obligation to any third party; and (d) the person consenting to these Terms is your duly authorized representative and authorized to bind you to the terms of these Terms. You may not assign or delegate any or all of your rights, obligations, and duties under these Terms without the prior written consent of Regal Cigs, which may be withheld in Regal Cigs sole discretion. If any clause or provision in these Terms is determined to be invalid or unenforceable, it will not affect the validity of any other clause or provision these Terms, which will remain in full force and effect. No waiver of any of the provisions of these Terms is binding unless it is in writing and signed by Regal Cigs. The failure of either Regal Cigs to insist on the strict enforcement of any provision of these Terms does not constitute a waiver of any provision and all terms shall remain in full force and effect. These Terms supersede and replace all prior and contemporaneous agreements, understandings and representations, whether oral or written, between the parties and relating to the subject matter hereof, and together with the other documents referenced herein, constitutes the entire understanding of the parties with respect to the subject matter of these Terms. NOTE: All exchange requests MUST be accompanied by an RMA number, be received within one year from the date of the original order, and include all items to be exchanged . We reserve the right to refuse any exchange request that does not meet these requirements. We recommend that you return your product via traceable mail as we do not take any responsibility for undelivered exchanges. If you have any questions about these Terms, please feel free to contact us at 1-888-822-5977 or for faster service email us at info@regalcigs.com. Hours of Operation: Mon.-Fri. 9:00am-5:00pm EST. Regal Cigs are intended for use by adult smokers and not intended for pregnant women or those who are sensitive to nicotine. Nicotine is highly addictive and may be dangerous to your health. Regal Cigs are not intended as a smoking cessation device. Regal Cigs offers smokers a tar freeway to enjoy smoking. KEEP PRODUCT AND ITS COMPONENT PARTS OUT OF REACH OF CHILDREN. REFRAIN FROM USING THIS PRODUCT IF YOU ARE UNDER THE LEGAL SMOKING AGE IN YOUR STATE. We are not affiliated in any way with Fox, CBS, Men’s Health or Discovery. The aforementioned re all registered trademarks of their respective owners. ® All trademarks on this web site whether registered or not, are the property of theirs a respective owners. The authors of this web site are not sponsored by or affiliated with any of the third party trade mark or third party registered trade mark owners, and make no representations about them, their owners, their products or services.